Sanmina designs & manufactures enclosures for high technology systems in both indoor and outdoor applications using state of the art manufacturing technology. Sanmina provides five axis large format precision machining services for medical, semiconductor and other capital equipment systems in facilities located in Fremont & Newark, California; Austin, Texas; and Suzhou, China. Sanmina designs & fabricates welded frames for high technology applications including industrial and semiconductor applications. 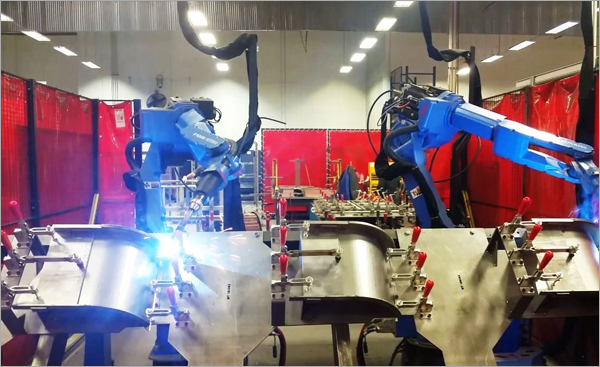 We provide mig, tig & robotic welding services with paint, powder coat and anodized finishes. Sanmina’s Mechanical Systems Division provides turnkey design & manufacturing for custom rack products as well as pre-designed modular & configurable systems for IT, computing & storage applications. Sanmina’s design and manufacturing capabilities include sheet metal enclosure fabrication, complex frame welding, precision machining, electromechanical assembly and test. Customers benefit from a one integrated partner when these capabilities are combined with Sanmina’s electronic manufacturing design and manufacturing services for PCBs, backplanes, cables, PCBAs and systems.